I am a major fan of Lush and their bath products, mainly the snow fairy shower gel and their bath bombs. I recently decided to get a few of their skincare products to see how I got on as I had heard great things about them. I ordered a few bits online and was also so grateful that they sent me some samples of other skincare products with my order too! I know if you go in store they will often give out samples, so was pleased I was able to get some with my online order. I have been using the products for a couple of weeks now and I am really impressed. 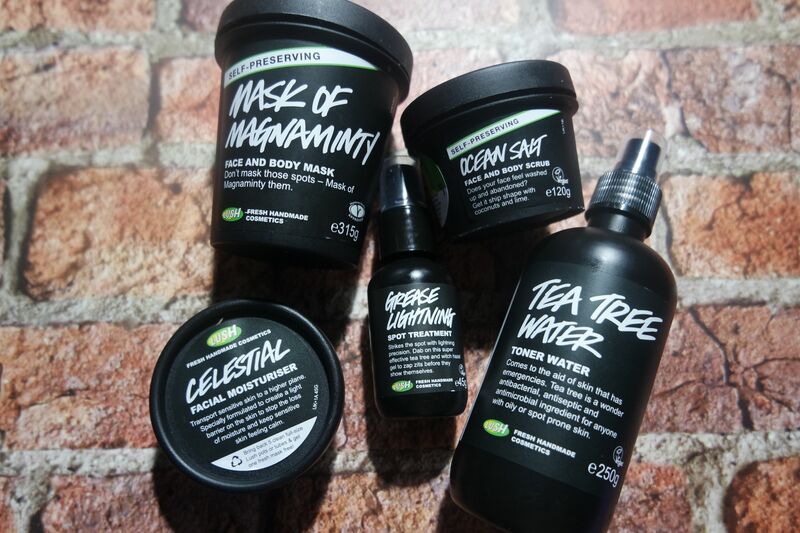 My favourite is the mask of magnaminty as it leaves your face feeling so soft and clean. Suffering with acne can be difficult but I think it’s helping me by using these natural products and I hope to see an improvement if I carry on using them. I think anything with tea tree in is great for your face so this toner feels very fresh. The spot treatment I have been using at night seemed to help calm the skin. 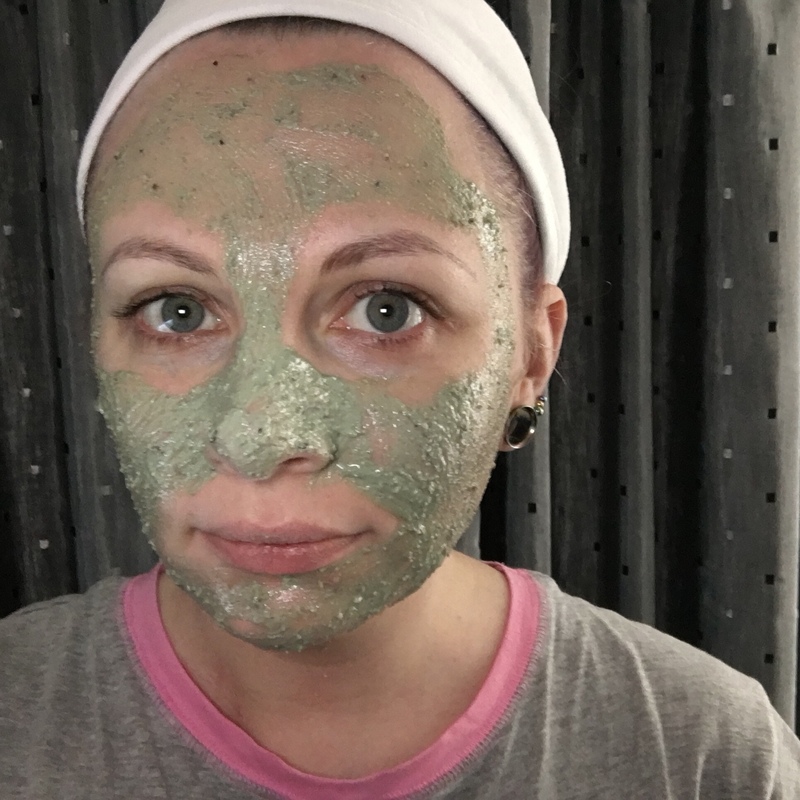 I think I may look into trying some more of their masks as even if I didn’t convert everything over to Lush I would want the mask of magnaminty in my usual skincare routine. I think even sometimes just changing one item can make a difference and for me I feel this is a must have for anyone with acne prone skin. 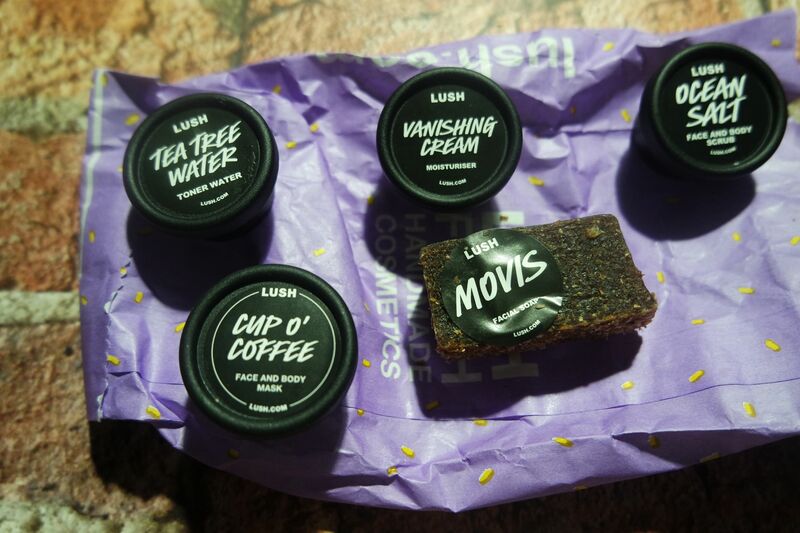 Have you tried any Lush skincare? Previous Article What TV programmes are you loving? I haven’t tried any lush products but I’ve been hearing more about this collection! I think I just saw someone writing about a product they made for babies? But that’s pretty cool! i love there dream cream but i really need to try some more of there skincare range! I love lush products! Especially their bath bombs and masks.